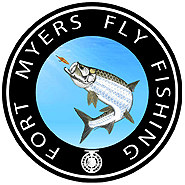 Capt Eric Anderson is a full time guide and resident of the Fort Myers area, where he spends over 250 days a year on the water. He started guiding in 1980 and over the years has guided for Bass, Bonefish, Muskies, Trout, Tarpon. Walleyes, and others. Since 1995 he has been guiding full time in saltwater since he caught that first Tarpon! He has guided in Colorado, Minnesota, Florida, and the Caribbean. Early on he discovered a passion for writing about the tactics and techniques learned by spending time on the water that few anglers can. He has been a contributor to many outdoor publications including In-Fisherman, Walleye-Insider, All-At-Sea, and many others. In addition, Capt Eric has been featured on several nationally syndicated television and radio shows. He is an avid and successful tournament angler, life long fly fisherman and fly casting instructor. 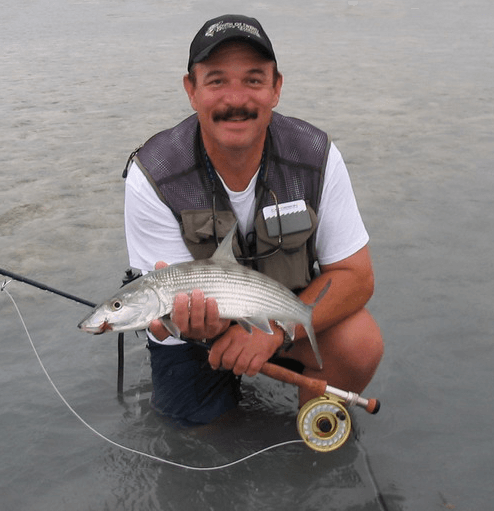 Capt Eric is an outstanding and very patient teacher and he will have you casting like a pro with a fly rod in no time at all, and you will learn exactly what you need to do when you get that first strike! Its not often that you have the opportunity to spend time on the water with a guide that has been a professional angler for 35 plus years. Capt Eric can pass along some unique perspectives about the angling industry and what technologies have had the most impact on the sport we love. Don’t Hire A Part Time Guide/Captain! Be sure to ask any guide you are considering if they are a year round resident. There quite a few guides that are part time winter residents that guide for something to do after retiring. These so called “guides/captains” take work away from the dedicated hard working full time captains/guides that are devoted to the profession. They deserve your business, and they know the water better than any part timer ever could. Ask any guide you’re considering where have they guided besides the local area, and the number of different species they’ve guided for. A fishing guide with a diverse multi species background has a much broader range of experience to draw from than someone who has only guided in a limited area for a few species. Taking you on a fishing charter requires the same attention to detail and drive to succeed that is the hallmark of every professional angler. It is reassuring to know that your guide has years of experience making those subtle adjustments in location and presentation that give you the very best chance of having a successful day on the water. Our Bluewater flats boat was custom-built to our specifications and we consider it to be the ultimate flats and backcountry boat on the market today. No other boat in its class can match the 99 inch beam or has more square feet of deck space. It has rod boxes versus the common under gunnel rod storage. The rod boxes give us the ultimate in tackle protection, and if you bring your own fly rod your gear will be safe and sound in a rod box. Photos… Our photo album isn’t working properly at the moment we will have it back working shortly.